Toughest organized century ride in the south, probably the whole country – the new Cheaha Challenge Ultra 200 km ride showcases some of the best terrain Alabama has to offer, which in my opinion is some of the best on the planet. 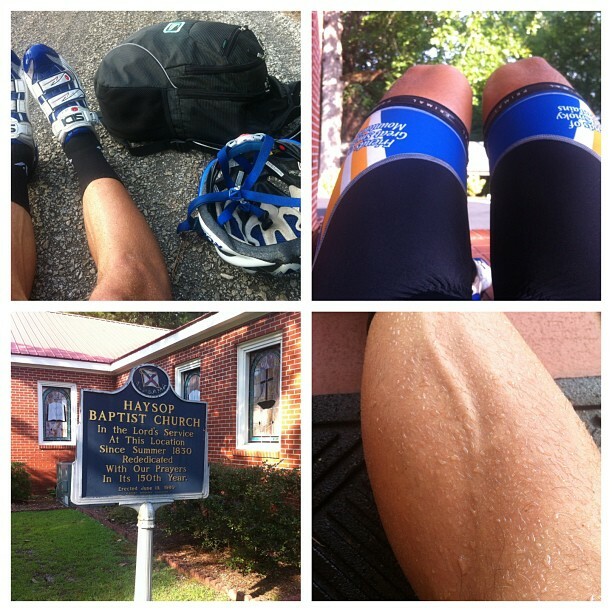 I decided to make it “extra” ultra by riding to the start and then back home for a grand total of 293 miles and over 20,000 feet of climbing. Absolutely amazing day despite the occasional rain. I left the house at 2:30AM and rode over to meet Chris Shelton at the back of Liberty Park while Pete Foret, one of my RAAM crew followed behind to get more practice as a driver for RAAM.